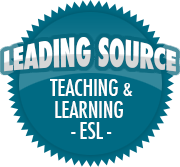 8 Ways of Learning | So, You Think You Can Teach ESL? I really enjoyed reading about the 8 Aboriginal ways of Learning. It’s very insightful and I’m sure it is very much an eye opener for many teachers to see it presented in such a way.